Jan & John Maggs Antiques Conway, Mass. 413-369-4256 jmaggs@jmaggs.com www.jmaggs.com "Evening Sky Over Marshland" by Dennis Sheehan. Hide-covered baggage chest. 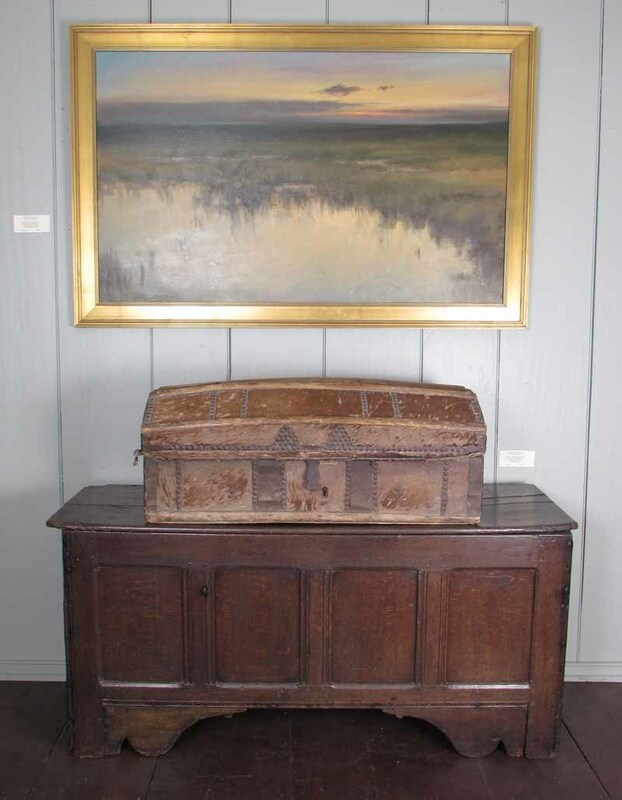 Transitional Seventeenth Century Welsh oak coffer.